Deco-Crete LLC | Let us help you create the hardscape of your dreams. 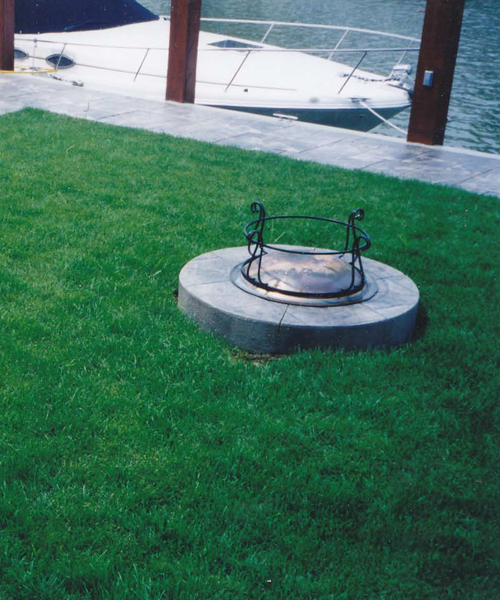 Deco-Crete LLC specializes in decorative hardscapes. Whether it is concrete with color and/or design or maybe just a unique shape in flat grey concrete. We are more like exterior designers that champion in the art of working hand-in-hand with landscapers, contractors, homeowners, and business owners to accomplish the primary goal of purpose and design and installation. This reflects Deco-Crete’s A+ rating with the Better Business Bureau (BBB). Welcome to Deco-Crete LLC. I am the owner, Aaron Paul. I am a graduate of Ohio State University. My wife Debbie & I live in Port Clinton with our two children. Let me first be able to say thank you for coming to our website and researching Deco-Crete’s services. At the start of 2004, I founded Deco-Crete LLC. With faith and prayer, my wife and I “stepped out of the boat” and decided to start up a concrete construction company that was alcohol-free, drug-free, and not your average here today – gone tomorrow business. We strive to provide excellent customer service and superior product design and installation. 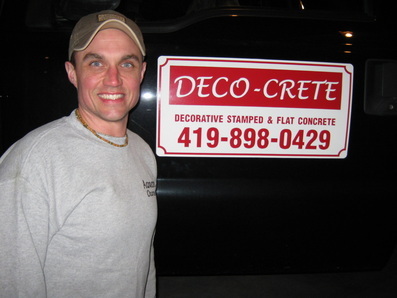 With over 18 years of experience in the concrete construction trade and over 13 years of being in business servicing all of Northern Ohio and Southern Michigan, Aaron Paul and Deco-Crete LLC have accumulated an impressive line of options for all customers to choose from, whether you are commercial or residential. Customers with any and every shape, size, and condition of old or new concrete are welcomed. We can accommodate decorative, overlayments, staining, regular flatwork-grey concrete work – there is no end to what we can do for you. We will take all of your concerns, wants, and needs into consideration and construct the project that fits your budget, your purpose, and your dream.